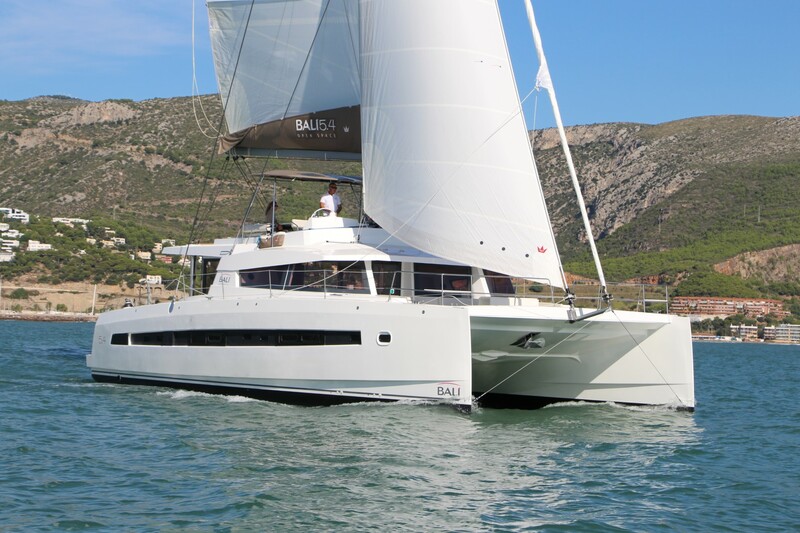 The renowned German shipyard Bavaria Yachts has expanded their business to the very demanding area of catamaran production. 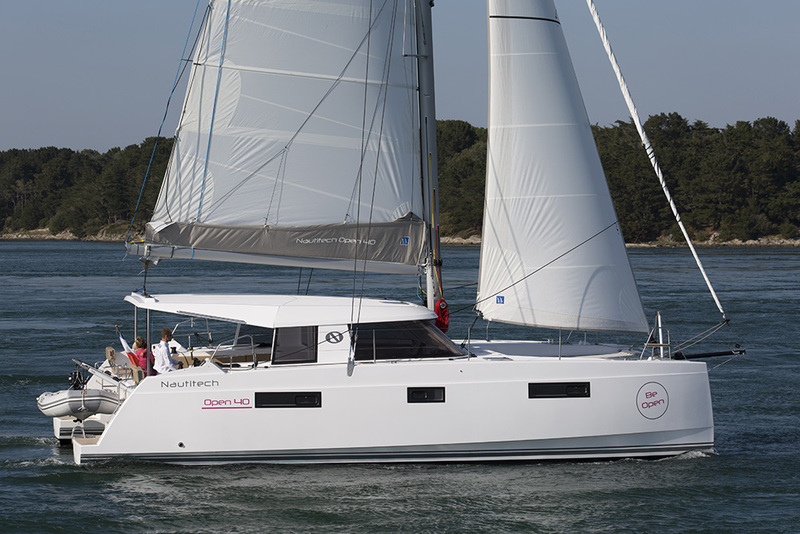 After the last year’s acquisition of the French shipyard Nautitech, Bavaria presented their first catamaran ever on this year’s edition of Boot Düsseldorf. Before sharing the general data and a review of the yacht, let me just mention that the entire annual production of the catamaran was sold out during the boat show in Dusseldorf. The visual appearance of the Nautitech Open 40 is reminiscent of that of ultra fast ocean racers. The yacht can achieve serious speed, since her sail area covers 91 m², with a 28m² self-tacking jib and a 63m² full-batten square-top mainsail. An optional gennaker has a size of 70m², while the recommended spinnaker’s surface should be 95 m². The Nautitech Open 40 is powered by two 20 HP engines with a saildrive, and the optional engines produce 30 HP each. Water and diesel are stored in double 225 l tanks. Length overall is 6.91 m, and the draught is 1.35 m.
The designing team placed the twin steering wheels at the aft of each hull, which puts the skipper in an unfavorable position since the low pedestals make the visibility lower as well. On the other hand, maneuvering and handling the sails are very simple, which contributes to relaxed sailing. The hardtop spreads over the entire cockpit, where two large sofas and a dining table are placed. Yet again, the skipper gets a lot of sun because their position is not well protected. 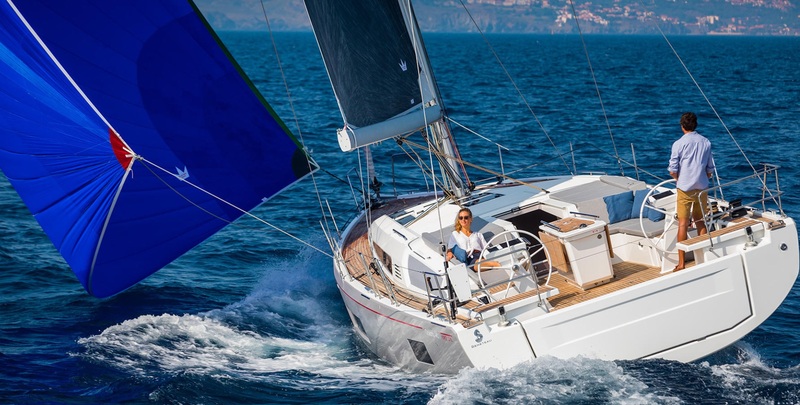 It seems, however, that the combination of speed and comfort was the main objective of the designing team, so this brand new Bavaria will provide a great experience for both leisure sailing and long-legged sailing. Apparently, the prices are very favorable, so hurry up with your orders. The interior layout is offered in versions with three or four cabins, along with one crew cabin in each hull head. This yacht is designed for spending a lot of time outside, on the deck, so the saloon and the galley are slightly smaller than expected aboard a 40 feet catamaran. However, the OPEN concept merges the cockpit and the saloon into a single space, which contributes to the feeling of spaciousness. Such solution was designed my Marc Lombard Yacht Design Group. Take a look on our boat offers list to charter a catamaran!